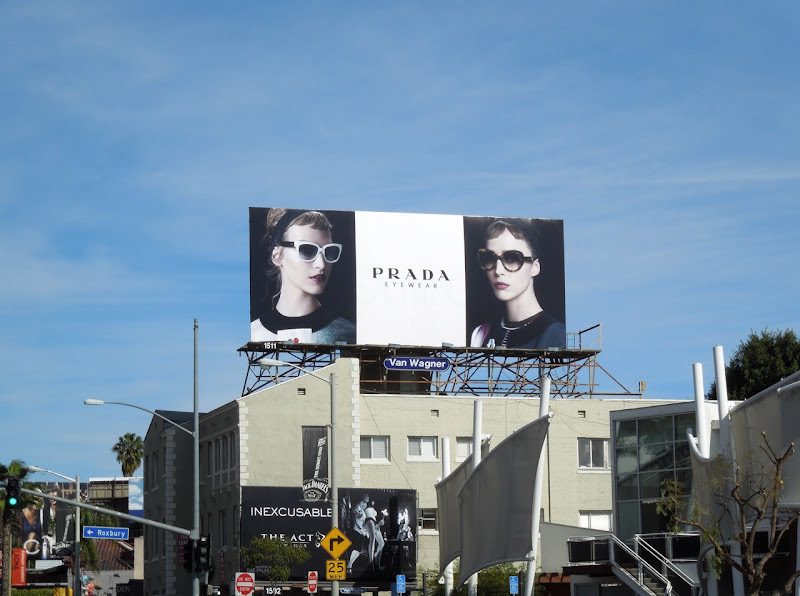 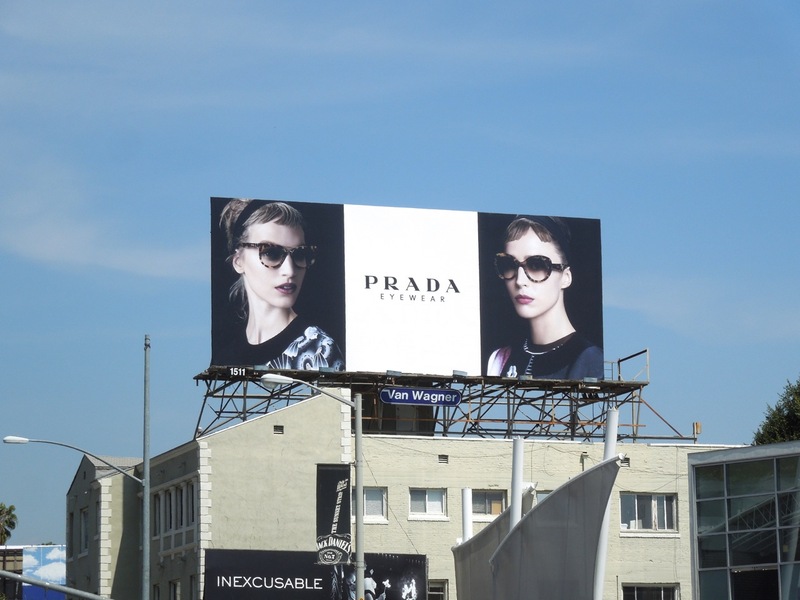 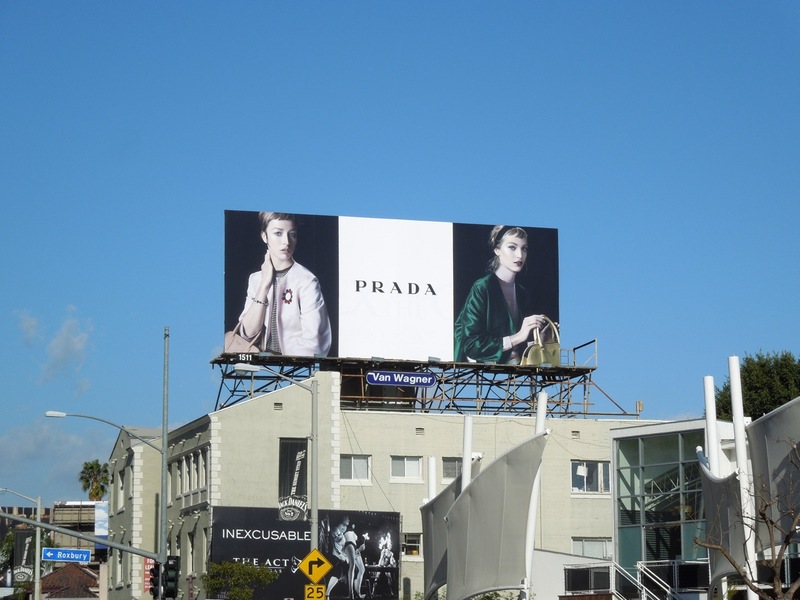 Daily Billboard always enjoys when a new season fashion story arrives in the skies of L.A. and then unfolds over several months. 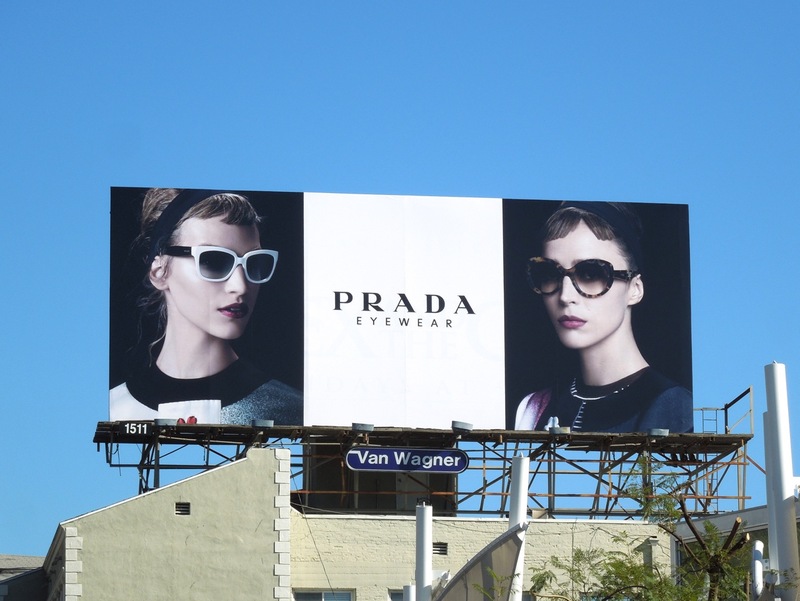 Take for example this studio portrait themed ad campaign for Prada's Spring/Summer Womenswear and Eyewear collections, which channels the luxury fashion brand's modern take on femininity. 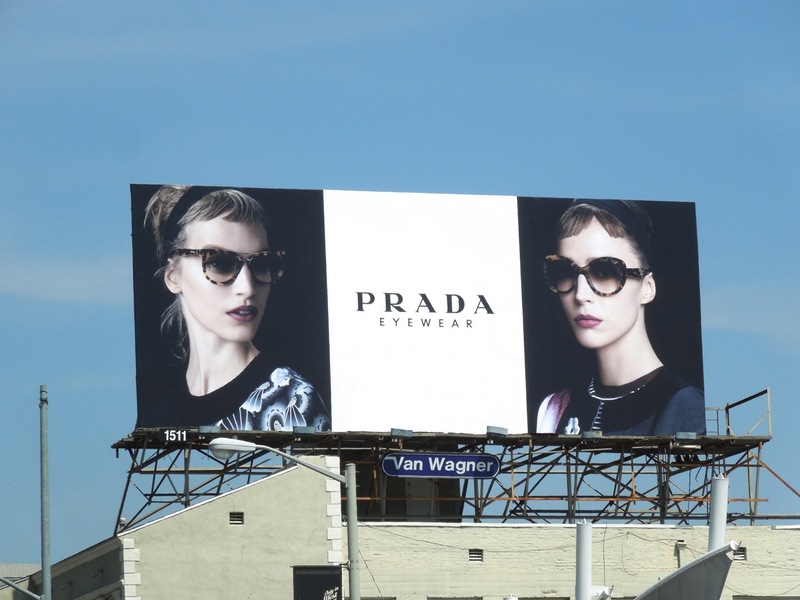 The stylish billboards feature the likes of Vanessa Axente and Raquel Zimmermann and first appeared in early January, followed by the womenswear creative in March and the second eyewear creative in April 2013. 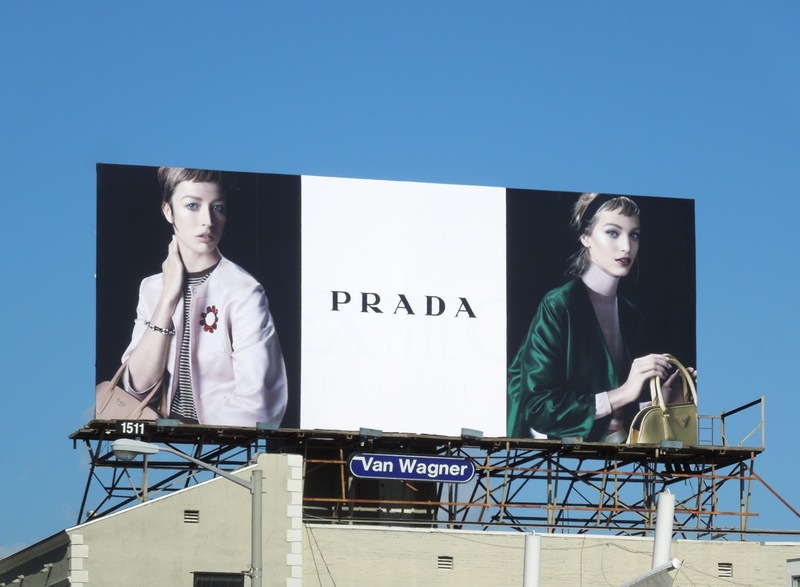 If you're a connoisseur of the fashion brand, be sure to admire these other Prada billboards.